You may be able to upgrade the Shark Injector file to another version to better meet your tuning needs. Depending on the model we may have better tunes for things such as intakes, larger air sensors, camshafts, headers, and others. For a small fee the current Shark Injector tune can be removed and a new file added instead (the original Shark file you were using would no longer be available). To do this, we need the car restored to stock settings with the current Shark Injector and then returned to us (updating via USB is not yet available). Sharks that were not Restored to stock cannot be upgraded and the unit will be returned to you (at your expense). We also perform other work on the Shark Injector while it is here, including diagnostic tests and re-packaging with the most current instructions. The Shark that you get back is virtually new and ready to be reinstalled! 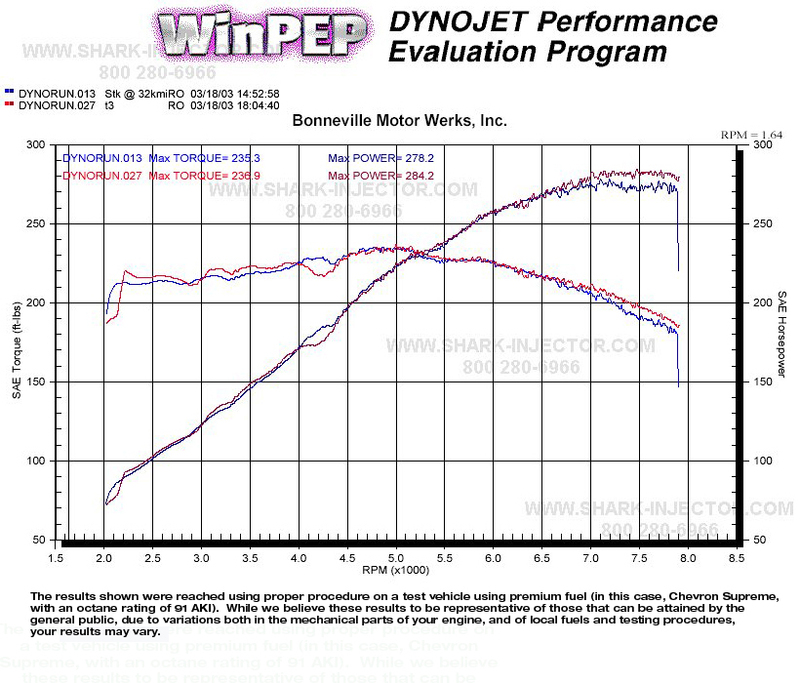 To get started, review the catalog of current Shark Injector files for one that better matches your tuning spec. 1. Enter the new tuning file in the form below. Include any other relevant information. 2. Click the Update Price or Add To Cart button. 3. Complete the online transaction with your address and payment information. 4. A Turner Motorsport sales rep will contact you after your order has been submitted. Do not send in your Shark Injector until someone has contacted you with a reference number and return shipping address. Turn-around time for upgrades is typically the same day we receive it. UPS Ground is the normal return shipping method unless you specify faster shipping on your order. Shark Injector File List - listing of all Shark Injector files by vehicle model. Select a file from this list to upgrade to. Shipping Instructions - specific instructions for packaging and shipping. Also includes a contact form to include when you send back your Shark. Emissions Waiver - some tunes require this emissions/smog waiver before we can program the new file to your Shark. These are noted in the catalog listing in the links above. Print and include this Waiver when you send in your Shark. Our software is installed via the Turner flashing OBD tool. This tool plugs into the OBD socket in the dash and the performance software is installed from a laptop computer connected to the tool. It also works as a fault code scanner to read and reset diagnostic trouble codes and reset adaptations. The software program requires a Windows XP/Vista/7/8/10 laptop and the installation and setup are very easy (click here for instructions). The OBD tool, cable, and installation files are shipped to you with simple setup instructions. Files are exchanged with our calibrators via email, resulting in no downtime for your vehicle. There is no need to remove your ECU and ship it. You can have your X5 flashed from the convenience of your garage or driveway! Click here to read more about our IAT relocation kit. Performance software is a must-have upgrade on your E46 M3 and you won't find an easier and better software solution than the Shark Injector. Developed by BMW tuning expert Jim Conforti, this device plugs into the car's diagnostic port and flashes new performance files into your car's engine computer (ECU). There's no removal of the ECU and shipping, no cables, no laptop required - only a battery charger! Installation takes just a few minutes and your engine will perform like never before! The M3 performance software was developed on the dyno to create maximum power and torque using premium 91+ octane fuel and revising the torque limiters in the ECU. The software makes changes to the ECU's maps and algorithms for fuel injection, ignition timing, VANOS and camshaft movement, and transitional fueling. We modify the maps for part throttle and full throttle so you get better response and more torque at all RPM. The rev limit is raised to 8,100 RPM rev limit and the top speed limiter is removed. By fine tuning these maps we've been able to improve the S54 engine beyond what BMW did by making more power and torque and a smoother-running engine. The Shark Injector plugs into the diagnostic port inside the E46 cabin. With the battery charger supplying power, press the Upgrade button and within minutes the ECU is reflashed with the new performance tune. No other software product on the market comes close to how easy it is to install. You can use the Restore button to re-install the stock BMW software at any time. Detailed instructions are included. Other tuners require you to remove the ECU and ship it to them or use a laptop to read and write a new file. The Shark Injector is ready to install right out of the box! A planned future upgrade will allow you to use the USB port to load different performance files. The software for running without cats includes special programming tweaks that will ignore certain readings from the post-cat O2 sensors and rely on the data from the first set of O2 sensors and the EGT sensor. The post-cat O2 sensors must still remain in place in the exhaust. Looking to maximize your power gains? Add a Turner IAT Relocation to combat power-robbing heat soak - the only true plug-and-play solution available. Heat soak is a real plague on consistent power for a stock or tuned vehicle.Click here to read more about our IAT relocation kit. The minimum octane fuel for this software is either 91 or 93. Performance software is a must-have upgrade on your MZ3 and you won't find an easier and better software solution than the Shark Injector. Developed by BMW tuning expert Jim Conforti, this device plugs into the car's diagnostic port and flashes new performance files into your car's engine computer (ECU). There's no removal of the ECU and shipping, no cables, no laptop required - only a battery charger! Installation takes just a few minutes and your engine will perform like never before! The MZ3 performance software was developed on the dyno to create maximum power and torque using premium 91+ octane fuel and revising the torque limiters in the ECU. The software makes changes to the ECU's maps and algorithms for fuel injection, ignition timing, VANOS and camshaft movement, and transitional fueling. We modify the maps for part throttle and full throttle so you get better response and more torque at all RPM. Choose between a stock or raised 8,100 RPM rev limit. The top speed limiter is removed. By fine tuning these maps we've been able to improve the S54 engine beyond what BMW did by making more power and torque and a smoother-running engine. The Shark Injector plugs into the diagnostic port inside the Z3 cabin. With the battery charger supplying power, press the Upgrade button and within minutes the ECU is reflashed with the new performance tune. No other software product on the market comes close to how easy it is to install. 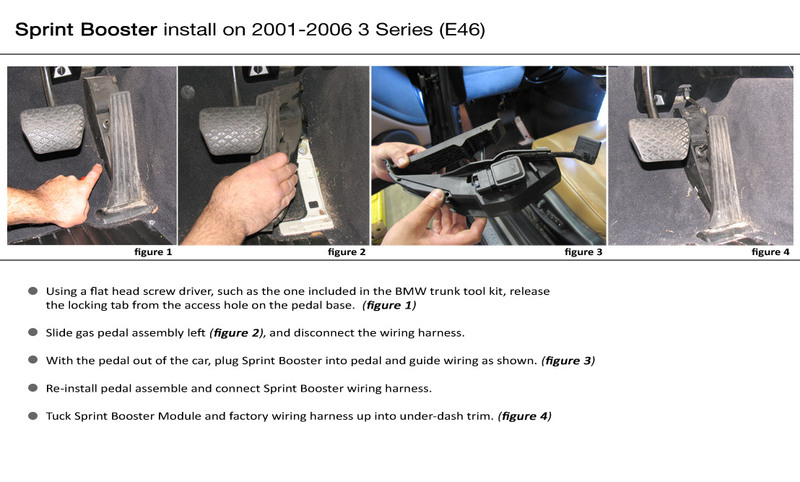 You can use the Restore button to re-install the stock BMW software at any time. Detailed instructions are included. Other tuners require you to remove the ECU and ship it to them or use a laptop to read and write a new file. The Shark Injector is ready to install right out of the box! A planned future upgrade will allow you to use the USB port to load different performance files. Octane. Choose either 91 or 93 minimum octane. For 93 we can be more aggressive with the timing and get more power. But you must have 93+ octane available, using the 93 version with anything less is not recommended. Rev Limit. Choose a stock 7,600 RPM or raised 8,100 RPM rev limit. The raised rev limit is great for track or autocross where you can stay in gear longer and avoid untimely upshifts. The stock rev limit is for the non-track customer who wants all of the other benefits without the need to rev beyond the stock setting. DSC/Sport Mode. This is a great option for MZ3 owners since the car did not come with a Sport button. Turning DSC off will enable the hidden Sport Mode in the MZ3! Note: not all combinations of product options are available. We will contact you if there is a conflict. LAWLence: "Go with the Conforti software. It will use a throttle position map similar to the sport mode, but the throttle response is linear and instant like it should've been from the factory. The throttle is mapped exactly like the stock sport mode, but power delivery is MUCH smoother and linear." 930LDR: "I am quite pleased with the upgrade. Very noticable pick up in throttle response. Can feel a little pick up in power as you move the the RPM range as well. Well worth $300." fmcfad01: "The Injector will give you much improved throttle response. I recommend it." clintjg: "The shark is worth it. I explored every NA bolt on available for the S54 and the shark plus headers was the biggest bang for the HP buck." atan888: "Just installed mine today and boy it made my S54 feel like a real S54. What a difference in response and you can really feel the extra HP. With my mod list growing in my sig it's the best bang for the buck mod I ever got for my coupe."